Winter is just around the corner, and unless you’re lucky enough to live in the south, this often means freezing temperatures, snow, wind and ice. 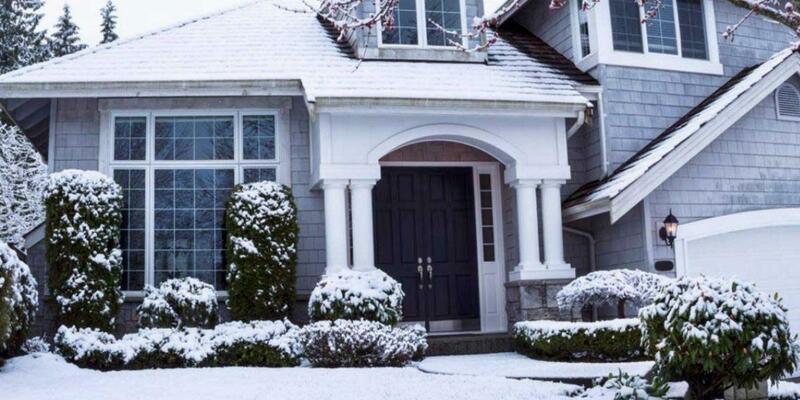 While great for winter sports, extreme weather can also do some serious damage to your home. To help you prepare your house for winter, we compiled a list of ways to keep Jack Frost at bay. Blocked or improperly cleaned gutters allow melted ice and snow to seep into your roof or the foundation of your home, potentially doing severe damage. As always, follow all safety instructions and guidelines when working on a ladder at any height. If you are uncomfortable using a ladder, you can hire a professional to assist with your winter home maintenance projects. Hire a roofing professional to evaluate the potential for ice dams on your roof. Ice dams form when melting snow refreezes and builds up on your roof. The increased weight of dams can weaken your roof or even cause it to collapse. Make sure your attic is properly insulated to prevent heat from escaping through the roof. Check pipes, vents and heat transfer areas to ensure they are in proper working condition. Fix any problem areas that are noted in an inspection. Add a ridge vent when redoing a roof. Pro Tip: Be on the lookout for runoff that may create ice buildup on sidewalks, porches and steps that are under the eaves of a roof. If you like to cozy up by the fireplace during the winter, have it inspected and cleaned for safe use. If you have a wood-burning fireplace or stove, you’ll need to clear out any buildups of creosote. You can DIY a chimney sweep with the proper tools, or hire a professional instead. It’s important to clean out any leftover residue, as it has the potential to cause a house fire. And don’t forget about gas fireplaces. While gas is clean-burning, make sure there are no old birds’ nests or other debris blocking the chimney. With any fireplace, inspect ventilation to make sure it’s in proper working condition, or you could end up with soot and smoke in your room. If any branches hang over your roof or walkways, cut them back. Branches that break due to heavy snow or ice buildup can cause costly damage. Pruning trees and shrubs not only protects your home but also primes them to sprout new growth in the spring, too. Repair any cracks in the caulking around drafty doors and windows to avoid having the cold breeze seep into your home. This can also reduce your heating bill. Pro Tip: Check for other areas where cold might slip in, such as external air vents and faucets. Heating systems work overtime during cold months, which means they require a little more TLC for proper winter maintenance. Check and change out air filters to clear blockages, and do an overall system clean if needed. Gas heating systems should be thoroughly cleaned once every three years. Clean the furnace or boiler in oil systems once a year. Before the snow sets in, seal any concrete on your property. This will prevent water from settling into cracks or porous areas and causing more damage as it freezes. Sealing will also help protect against damage from shoveling or using salt to melt snow. Rake up any leaves and aerate your lawn before the first snow sets in. This will keep your lawn from suffocating under a layer of snow and lawn debris. Also cut your grass down to a shorter height of about 2 – 3 inches. This will help avoid thatch build-up and help grass stay healthy during the cold. Aerating your lawn provides the root system better access to moisture, air and nutrients that will prepare the grass for spring. Keep an eye on the weather, and do this before any frost appears. Pro Tip: Read The Ultimate Guide to Yard Cleanup for extra tips that can help prep grass and landscaping for winter. As the soil freezes and expands during the winter months, the foundation of your home may shift. To minimize potential damage, seal any cracks that have appeared, waterproof your basement and double-check that your yard slopes away from your home. Add a boot brush to protect floors against harmful salt, ice and melted snow. Place reflective markers at the edges of your driveway and sidewalk to avoid damaging your lawn while shoveling snow. Purchase a roof rake to carefully scrape off heavy snow. Reverse your ceiling fans to run clockwise and push heated air down. Now that you can cross winter home maintenance projects off of your to-do list, what do you plan on tackling next? 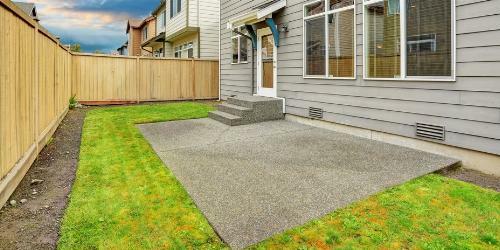 If you have an old concrete patio that needs some major rehab, it’s possible to demo the patio yourself and make way for a new patio, garden or other usable space in your backyard. Follow these tips from Concrete Network and Fixr to get your project going. Is your landscaping too far gone to be revamped? 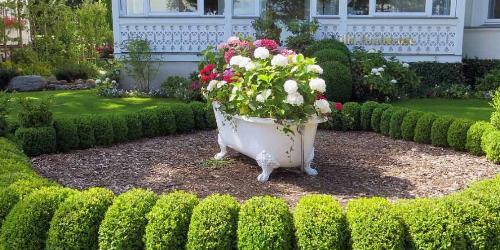 Learn where to start when it’s time to completely redo your yard.